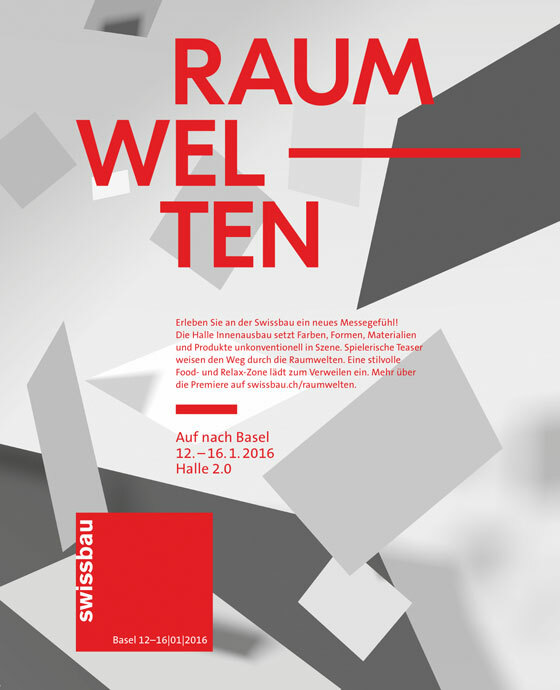 From 12 to 16 January 2016, Swissbau will once again be featuring a large number of premières and highlights. 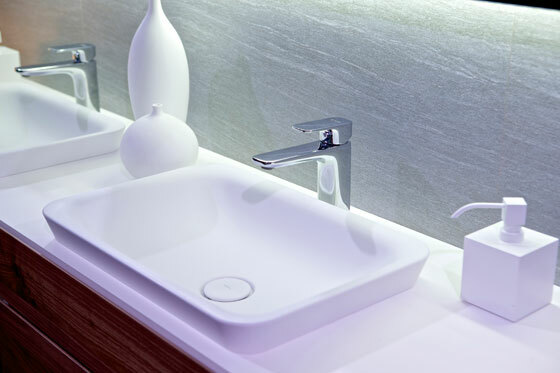 Bathroom Trends and Kitchen Trends are two worlds that are already well established at Swissbau, providing a unique overview of the latest trends in the construction, fitting out and design of these sensual oases. There will also be plenty for the senses to revel in at the Inspiration Space, a new exhibition format dedicated to interior furnishings, which has been developed in cooperation with eminent exhibition creator Martin Heller. Visitors to Hall 2.0 can look forward to a stimulating première. For the first time, the Inspiration Space will be inviting professional visitors with a penchant for architecture and design to embark on a journey of discovery through a fascinating world of materials, colours, shapes and products. This new exhibition concept has been developed in cooperation with Heller Enterprises, the company run by the famous exhibition creator Martin Heller. His team took an intensive look at the special industrial design of Hall 2.0 and developed the Inspiration Space to fit in with it. The Inspiration Space has been devised to appeal to visitors’ emotions while providing them with guidance at the same time. One of those supporting Heller in this project is Sergio Cavero, the curator of Designers' Saturday in Langenthal, who has made a name for himself way beyond the immediate region. The result is an exhibition hall with an urbane character, in which the classical look of a trade fair is deliberately fragmented by numerous elements that liven it up. 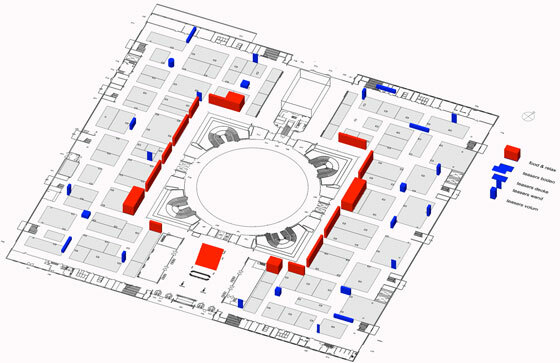 The aim is to break up the geometry of the hall with its long, straight aisles. As visitors proceed on their journey through the Inspiration Space they encounter experimentation areas artistically designed by the exhibitors. These so-called "teasers" are scattered randomly on the floors, walls and ceilings of Hall 2.0 and thus form a pathway of sorts through the exhibition. The idea is for this pathway to stimulate the visitors’ imagination and arouse their interest in the exhibitors, who, for once, have the opportunity to showcase their products outside their classical stands too. Apart from classical stands with offerings from the segments of floors, walls, ceilings, lighting and open fireplaces, along with office and residential furnishings, visitors will come across stylistically designed food and relaxation zones located around the hall’s central courtyard. Here, they can spend time in a space conducive to creative pauses and interesting encounters. Martin Heller obtained his first qualification from the Basel School for Design and then went on to study at Basel University. 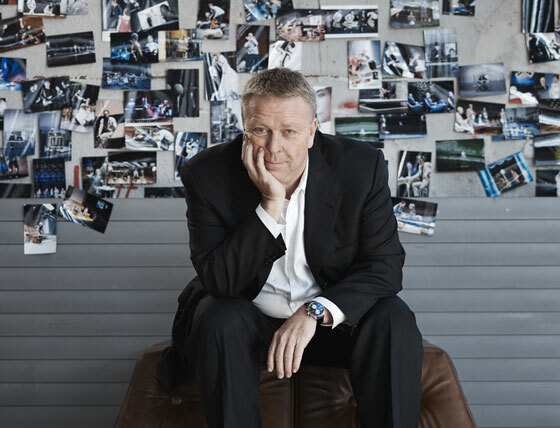 After his studies, he held many different posts in the field of culture and exhibitions, including director of the Museum of Design in Zurich and creative director of Expo.02. Since 2003, Heller has been an independent entrepreneur in the cultural field (Heller Enterprises, Zurich) and has taken charge of many different projects throughout Switzerland, Germany and Austria. He has been working along with Sergio Cavero in a team that embodies a strong basis of trust, built up through earlier joint projects, and which is driven by creative dialogue and a critical take. An excellent starting situation for developing the Inspiration Space. Bathrooms and kitchens never stand still as they evolve from small functional rooms into rooms that captivate the senses. Inside the already familiar Bathroom Trends and Kitchen Trends sectors, visitors to Swissbau will be able to observe the next stages in this development process, borne out by the latest trends in design and technology. Inviting colours, functional shapes, top-grade materials and innovative technical solutions merge to form a unique mix at Swissbau. The kitchen is increasingly migrating into the centre of our living area. And one of the impacts of this move is on the division of space. Today, modern kitchens offer sufficient latitude for preparing a delightful feast for a leisurely evening with friends, while at the same time harbouring sophisticated, space-saving solutions for small meals in-between. In addition, today’s colours and shapes are also moving closer and closer to those of the other rooms with their furnishings and fittings. The industrial-design kitchen in chromium steel and concrete, for instance, fits optimally into an urbane loft, whereas the classical mix of wood and tiles typical of a rural residence is now experiencing a renaissance thanks to new and exciting combinations. What the two of them have in common is ultramodern technology employing a range of sensors to permit energy, time and cost savings. On this occasion, the patron of Kitchen Trends is Küche Schweiz. As our jobs become increasingly rushed, the bathroom is developing more and more into an oasis into which we can withdraw and spend relaxing, sensual moments. At the same time, however, there are often spatial constraints on developing really grandiose ideas precisely when planning modernisation work. This is a challenge that the exhibitors in Bathroom Trends are meeting up to with lightweight, space-saving materials and modular systems. Even bathrooms that have to satisfy more stringent demands, such as being barrier-free, can find the necessary space and incorporate smart solutions in this way. In combination with the most modern sanitation systems available, tomorrow’s bathroom is becoming a comfort zone satisfying all the residents' aspirations. To what extent can architecture rescue the world with technology – or does architecture need to rescue itself from technology? The new technical equipment and technologies used in construction and our technologically-oriented systems wield tremendous power and are credited with being able to make their mark on the future and particularly on how we are going to build. At the same time, however, technology imposes specifications, gives rise to requirements, places constraints on those who are planning and building and restricts freedom and creativity. To what extent can architecture rescue the world with technology – or does architecture need to rescue itself from technology? This question will feature at the Tec_Changes_Architecture event, which is being held in the Swissbau Focus network format, and will be discussed inter alia by the artist/architect pair of Smith/Allen of San Francisco. 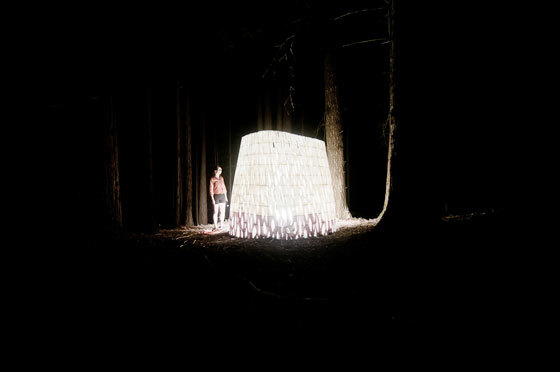 They built the first house printed out of paper and work with 3D architectural objects; they will also be providing a live demonstration of how these objects are created to accompany the event.